I created a large wall sculpture for a friends new house. 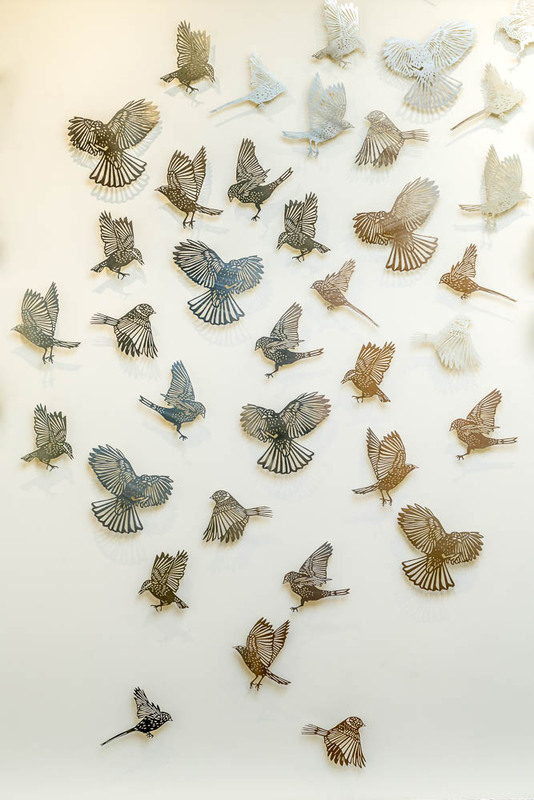 It’s a group of British Garden birds cut from Nickel Silver. 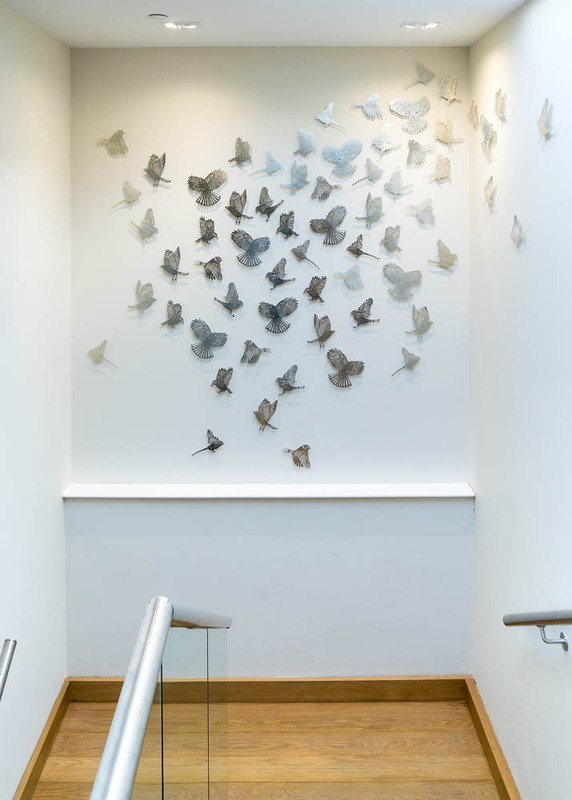 The installation is in their staircase and looks pretty amazing I think. I’m so happy with the way it worked out. I love how the birds all look different colours as they reflect the light differently. Some look dark and intense while others look almost transparent and ethereal.